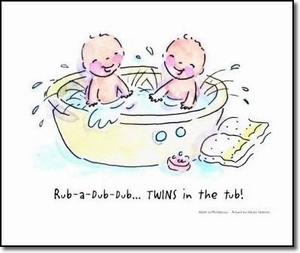 This adorable 11" X 14" print is a cute finishing touch to a twin's bathroom! Print will fit any standard 11" X 14" frame. Can also be cut down to an 8" X 10" size.